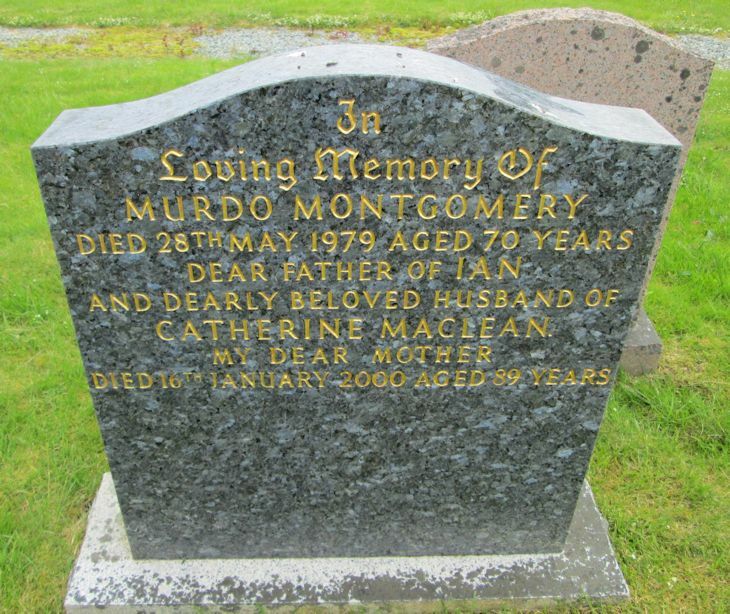 Skye Gravestones | Murdo & Catherine (Maclean) Montgomery. Murdo & Catherine (Maclean) Montgomery. In/loving memory of/MURDO MONTGOMERY/died 28th May 1979 aged 70 years/dear father of IAN/and dearly beloved husband of/CATHERINE MACLEAN/died 16th January 2000 aged 89 years. Added by Hector Campbell on 25 August 2014.